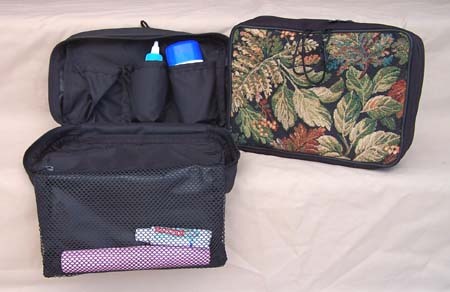 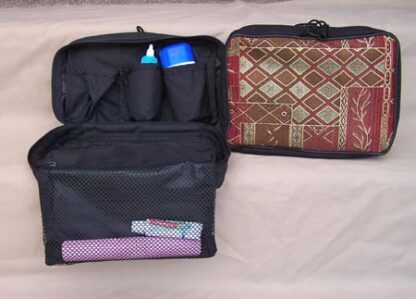 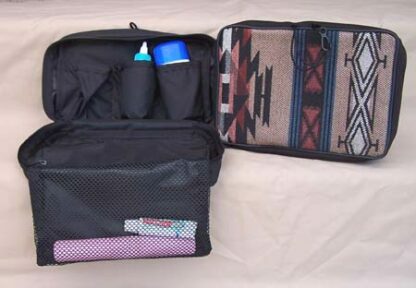 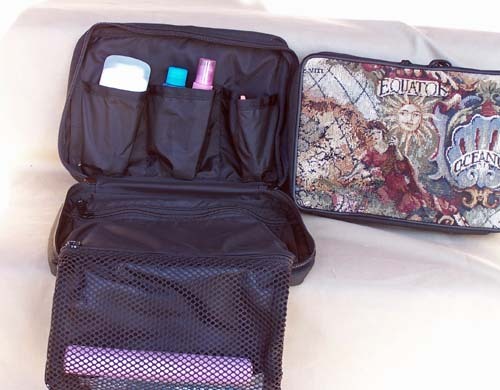 Toiletry Kit: A sturdy bag with easy access to all your toiletries. 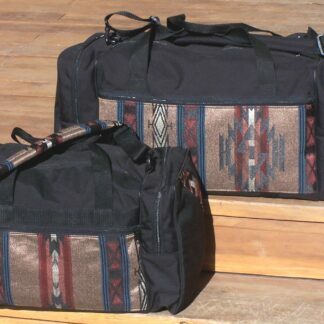 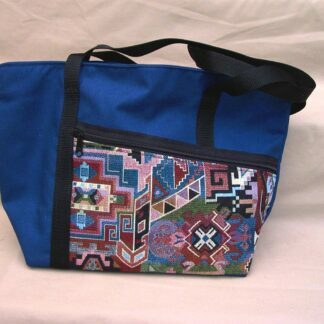 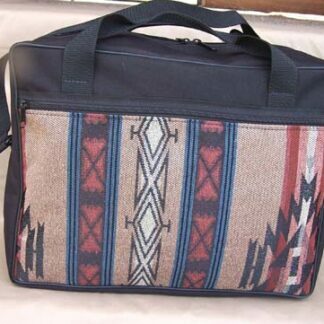 SKU: N/A Category: Travel & Tote Bags Tags: Black/Crimson, Black/Dark Magellan, Black/Maple, Black/Southwest, Fabric, Fabric Purses, Navy/Mystic, Navy/Sapphire, Packs and Bags. 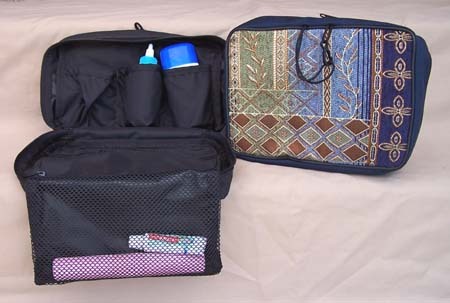 Tapestry Toiletry Kit (7H x 10L x 3D) Probably the nicest thing I’ve ever made for myself! 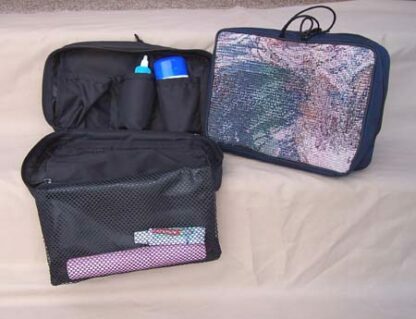 Just hang it from the towel rack in a motel room, pick from it, put stuff back, fold it up and all your toiletries are there the next time. 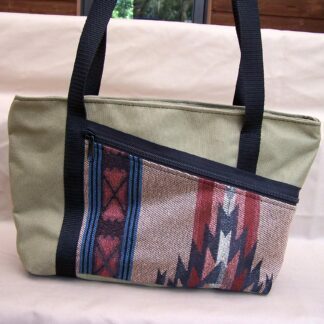 Has three compartments in the top, a zippered pocket in the middle and a mesh pocket on the bottom. And yes, washable.